The steaks have never been higher. 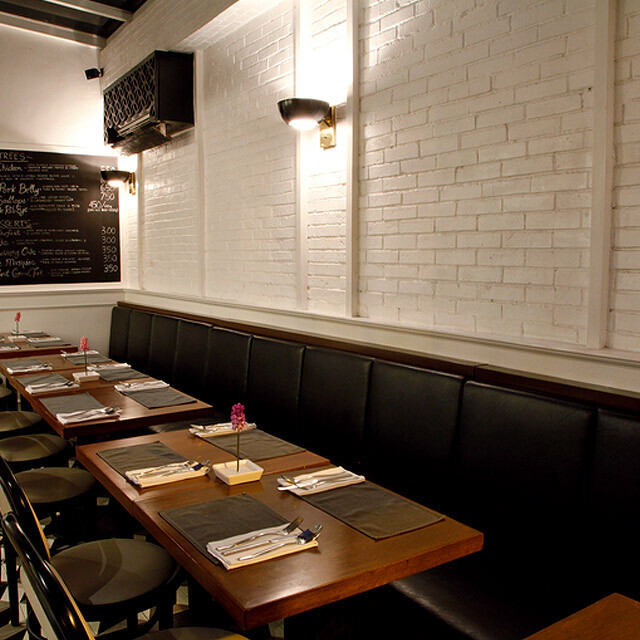 (SPOT.ph) Makati is a melting pot of restaurants and international cuisines. But where do you go when your insatiable meat cravings start kicking in? Naturally, steak may be the first protein you’ll think of—these tasty marbled slabs of beef that are irresistibly tender and succulent. 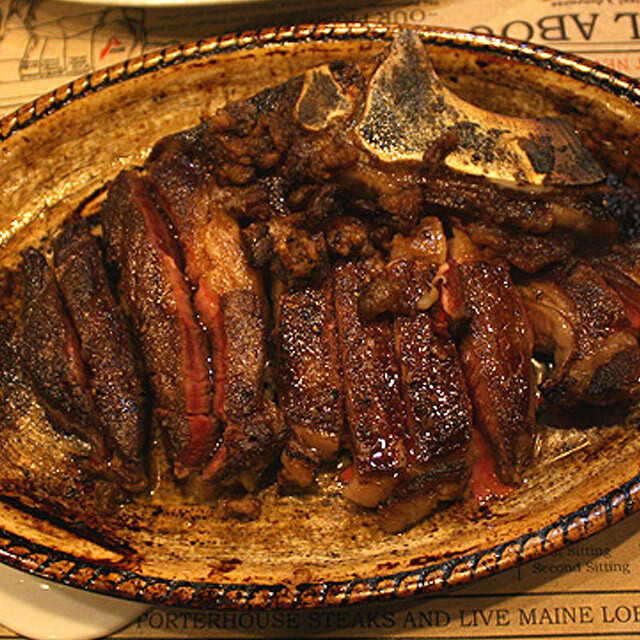 There are plenty of steak restaurants in the city, but only a handful stand out. 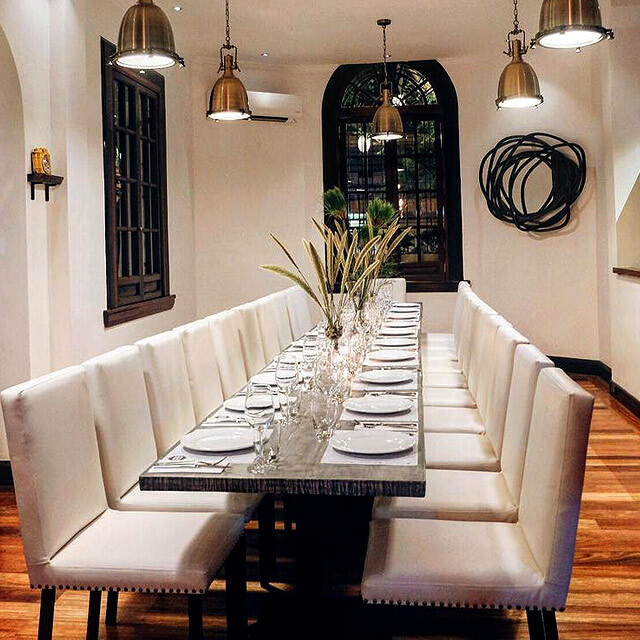 From casual to fine dining, these are the places that are worth every peso. Older sibling to Foundry by Smith Butcher 1912, Smith Butcher and Grill Room is elusively tucked along the stretch of H.V. Dela Costa Street in Salcedo Village. The main event is their aged beef, which is kept behind a glass wall like delicate museum pieces waiting to be peered at. Smith has quite an elaborate aging process, which could go up to 45 days, improving the steak’s overall texture and flavor. Choose from Smith’s roster of choice cuts like the Ireland Faux Fillet, a dry-aged grass-fed sirloin that’s grilled over wood and charcoal then broiled to a perfect, smoky medium rare. Smith Butcher and Grill Room is at ACI 147 H.V. Dela Costa Street, Salcedo Village. 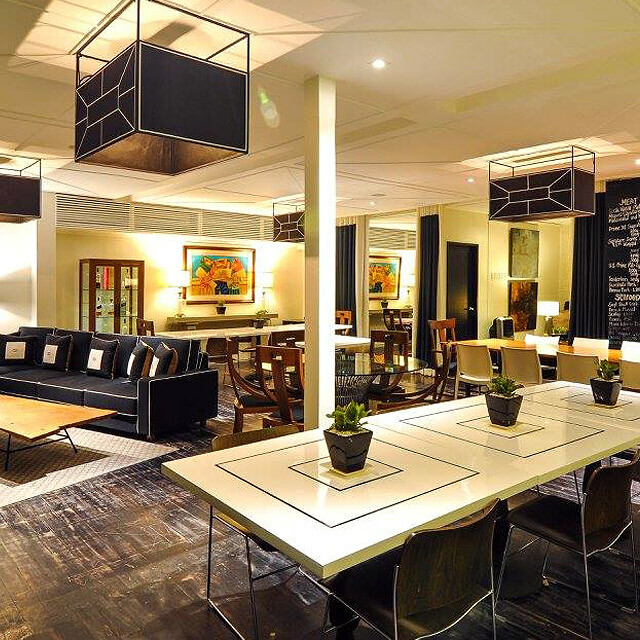 Stockton Place has been one of Makati’s best-kept secrets since it opened its doors in 2013. Witnessing the city’s rapidly evolving dining scene from infancy, it stands strong until today—and why wouldn’t it? 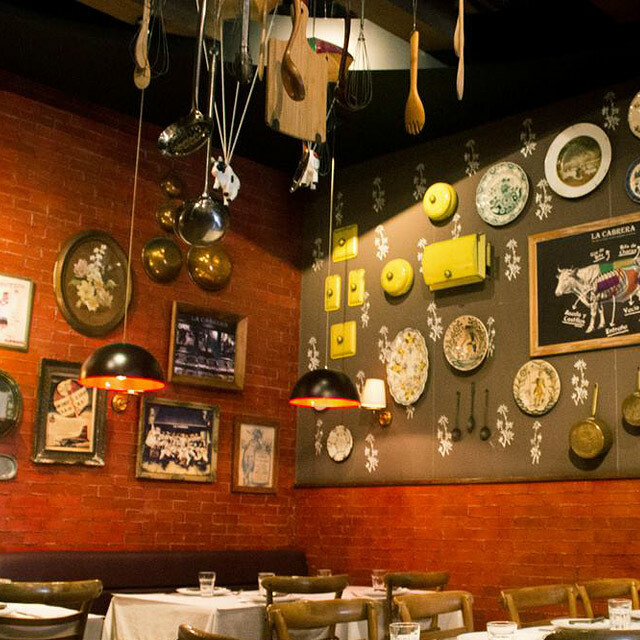 The restaurant highlights approachable and well-curated French-Italian dishes. 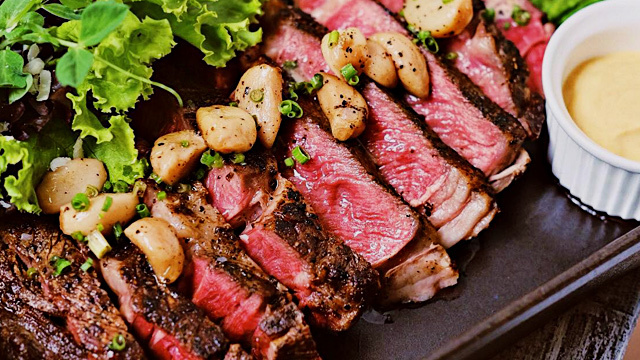 Although Chef Celine Escaler’s brainchild isn’t exactly what you’d call a grill house, their juicy Prime Grade Rib Eye Steak makes people come back for more. Paired with roasted garlic cloves and crispy skin-on baby potatoes, this dish is sublime on its own and better with a glass of red wine. 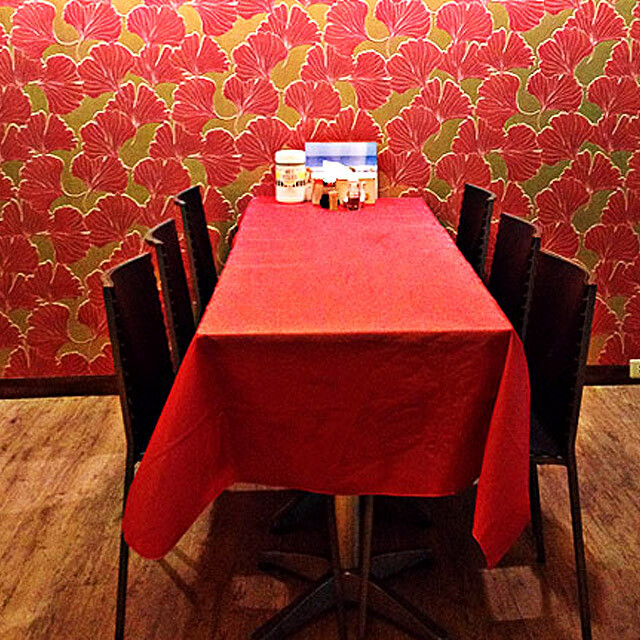 Stockton Place is at 227 Salcedo corner Gamboa Street, Legazpi Village. 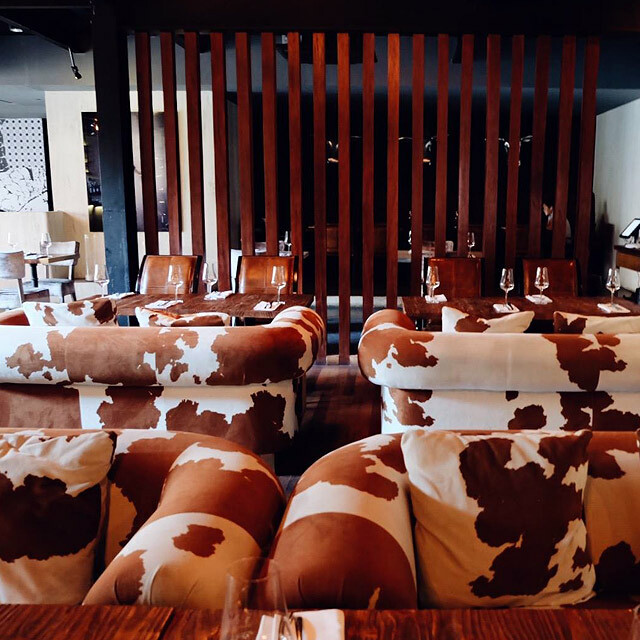 We’re here to tell you that, yes, what you’ve been hearing all over town is true: Bondi & Bourke serves some mean steaks. While their fully loaded meat pies may have taken the spotlight since they opened in 2015, Bondi & Bourke’s prime-cut steaks are a delicious secret you’d want to keep for yourself. 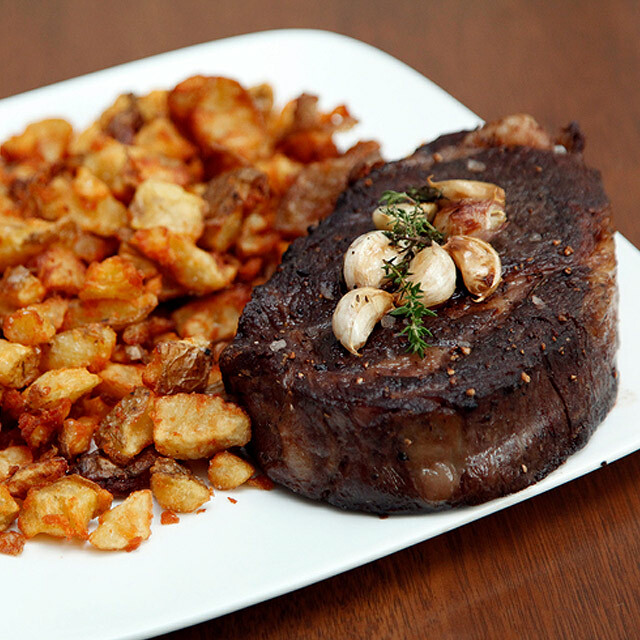 Sample their U.S. Prime Rib Eye, a heavily marbled slab of goodness made with grain-fed beef. Bondi & Bourke is at G/F Cattleya Condominium Building, Salcedo Village. 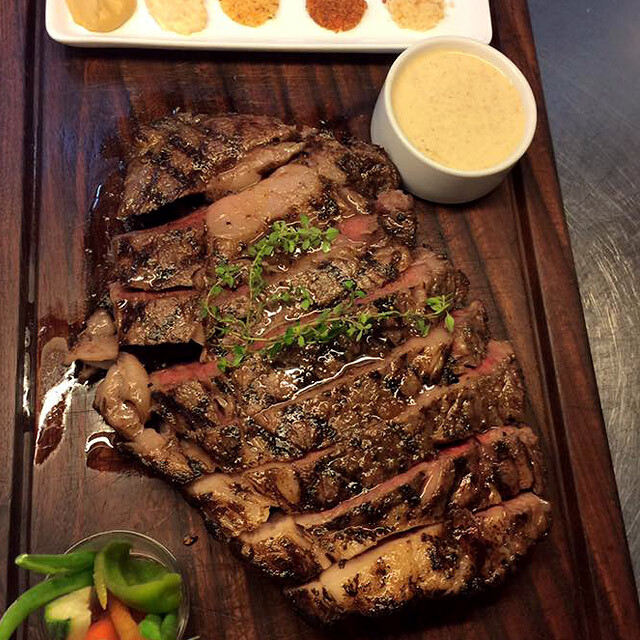 Carnivores are in for a treat at Elbert’s Steak Room, by Elbert Cuenca. (If his name sounds familiar, then it’s because the restaurateur is also behind two of Manila’s best ramen joints, Ramen Yushoken and Mendokoro Ramenba). 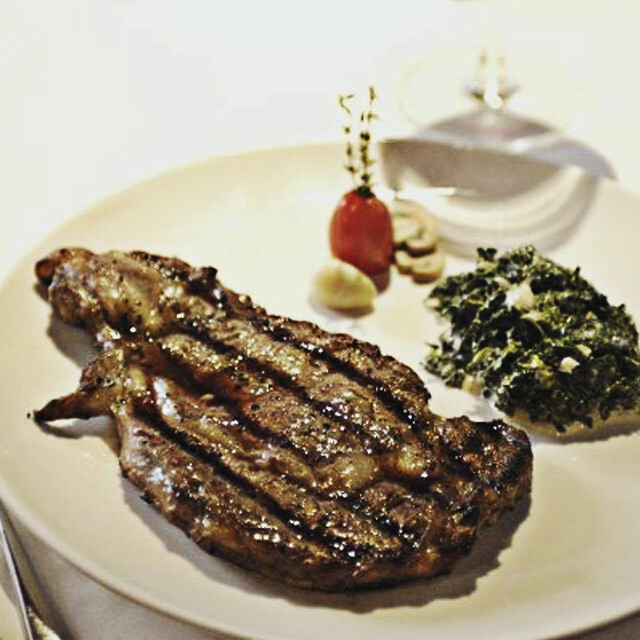 This intimate restaurant offers excellently cooked steak that will most likely exceed your expectations—their USDA “Super” Prime-Grade Rib Eye is, indeed, nothing short of sublime, with a crusty outer layer and succulent center that only skilled chefs can pull off. Elbert’s Steak Room is at 3/F Sagittarius Building, 111 H.V. Dela Costa Street, Salcedo Village. If you’re hankering for a complete steak experience, look no further than Carmelo’s Wagyu Steaks, an offshoot of the famed Melo’s in Quezon City—which was the country’s first steak restaurant to ever offer certified Angus beef. But if there’s one thing Carmelo’s prides itself in, it’s their Australian Wagyu beef. Here, their Wagyu Tenderloin goes up to Grade 12, which is the highest of Australian beef cuts, and is characterized by top-notch marbling and mouthwatering tenderness. 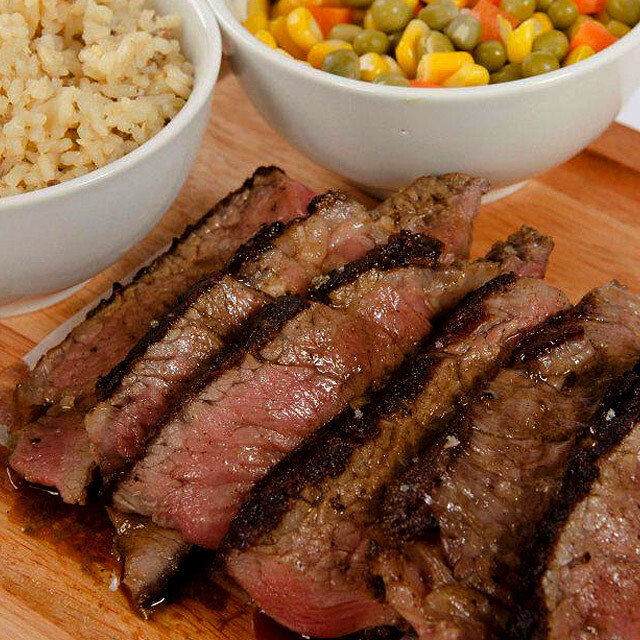 Carmelo’s Wagyu Steaks is at G/F Greenbelt 5, Ayala Center. There’s more to Wagyu Japanese Beef than its obscure location and kitschy, fiery red interiors. For one, their stone-grilled steaks are the stuff of your carnivorous fantasies, each served piping hot on a sizzling platter (better eat quick, though, or suffer the consequences of a well-done steak). The restaurant’s Rib Eye Ishiyaki is highly addictive and served with vegetables and four pieces of beautifully marbled meat, which you can dunk in a tangy ponzu sauce to give it that extra layer of flavor. 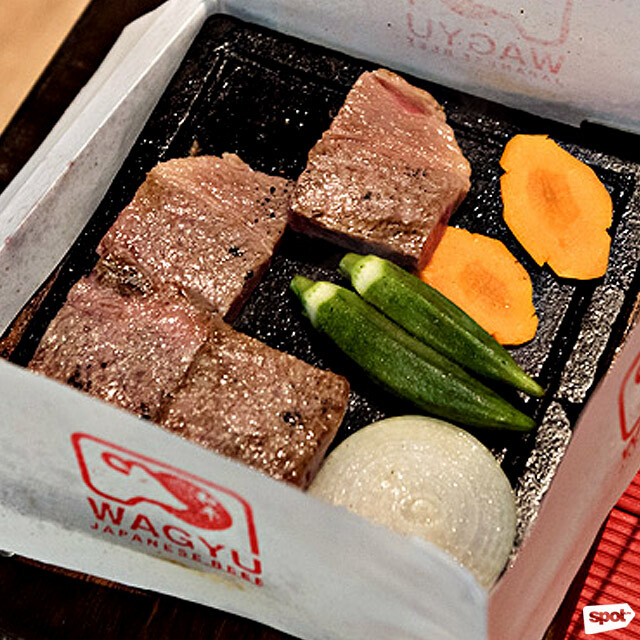 Wagyu Japanese Beef is at G-20 Sunvar Plaza, 156 Amorsolo Street, Legazpi Village. There’s really no introduction needed for Mamou’s steaks, but we can go on and on about them because they are just that good. 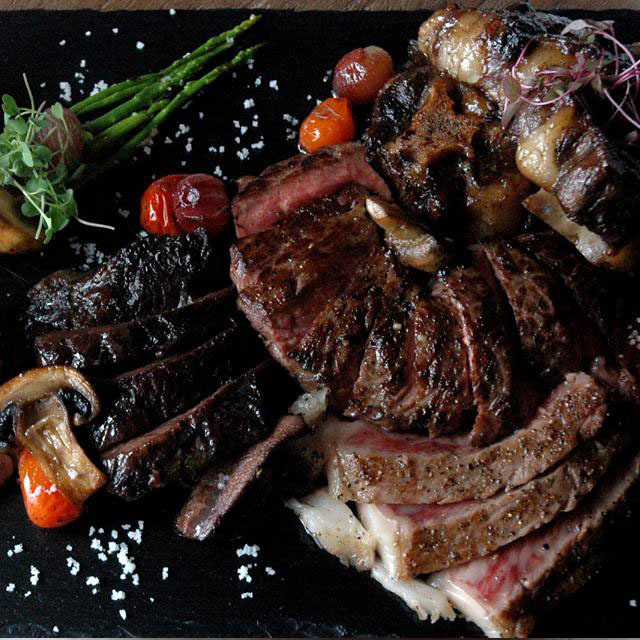 Choose among four of their well-loved beef cuts: Rib Eye, T-bone, Porterhouse, or Prime Rib. 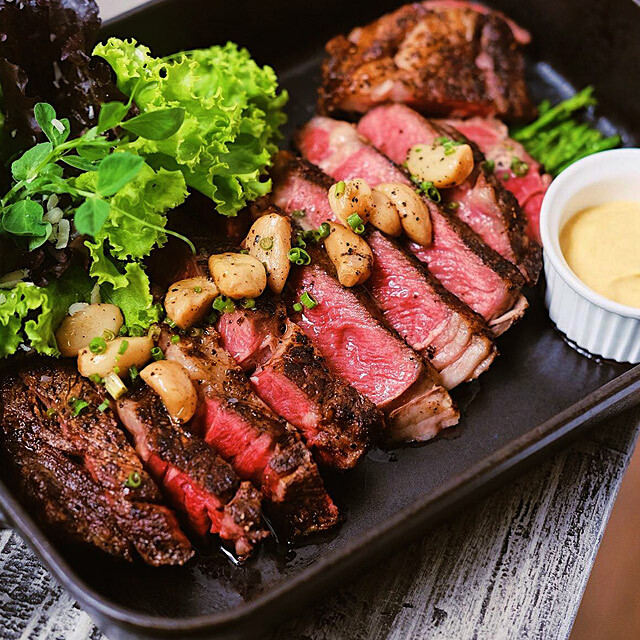 Their Dry-Aged USDA Prime Grade Bone-In Rib Eye Steak is a juicy slab of beef that’s cooked to perfection—toasty charred edges, buttery savoriness from the meat’s natural juices, and an effortless tender bite, which is perhaps the result of its three-day dry-aging process. Mamou Too! Is at G/F Power Plant Mall, Rockwell. 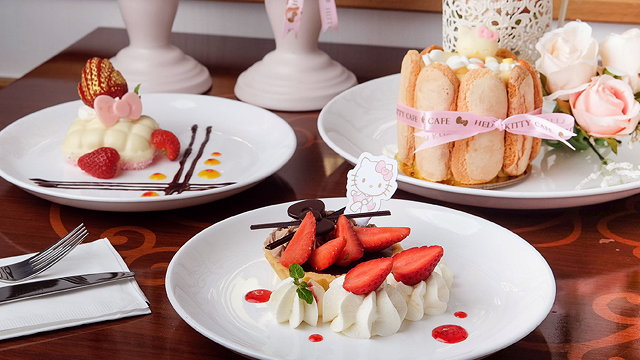 Hai Chix & Steaks’ laid-back atmosphere sets them apart from all the other restaurants on this list, proving that you don’t have to be dressed fancily to munch on some high-quality steak. Their 650-gram U.S. Angus Rib Eye can feed two people, but it’s not just the marbled slab’s size that will impress you—it’s the blackened edges that give off a unique smoky taste as well as the melt-in-your-mouth bite. 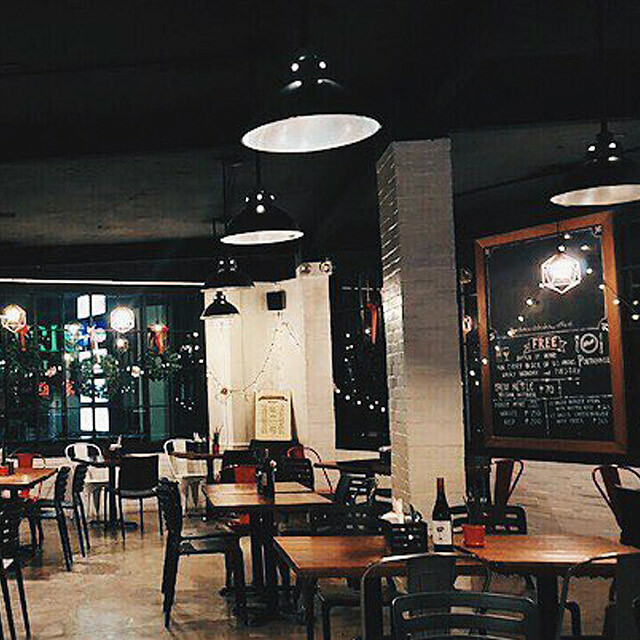 Hai Chix & Steaks is at G/F Signa Designer Residences, Valero corner Rufino Street, Salcedo Village. 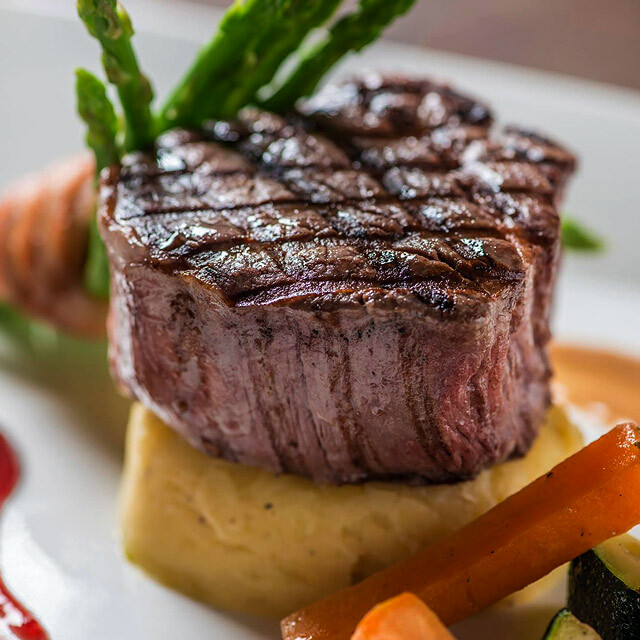 When great steak is what you’re looking for around the city, add Prime 101 to your repertoire of reliable steakhouses. It can answer your mad cravings in a snap, and it does so by serving straightforward, excellent-cut steaks. Thick and fatty, the U.S. Prime Rib Eye is one satisfying hunk of beef you’d want to have again and again. 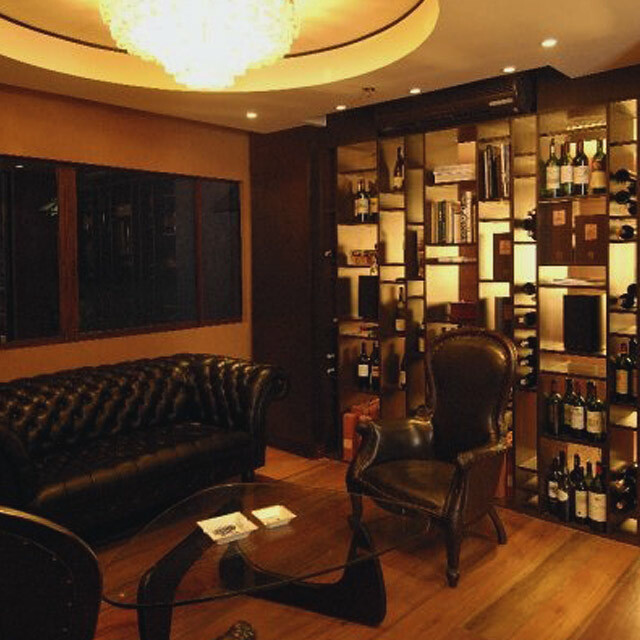 Prime 101 is at 2226 Chino Roces Street, San Lorenzo. 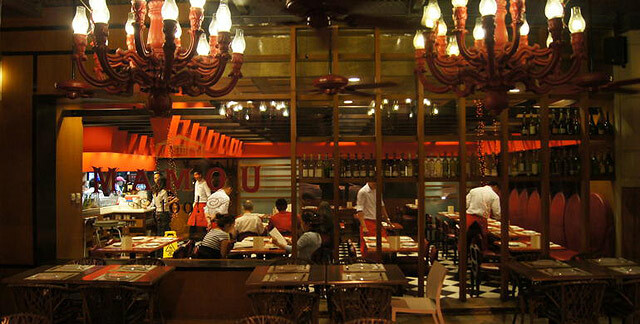 Argentinian steaks are the star at this restaurant located within the busy Glorietta complex. At La Cabrera, their fresh-off-the-grill steaks come with an unlimited serving of sides like chimichurri, shiitake mushrooms, baby potatoes, and cherry tomatoes in herb dressing. 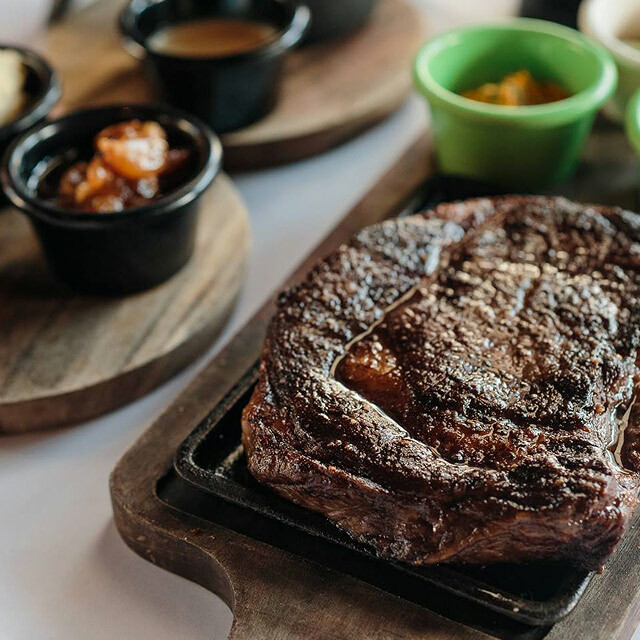 Don’t miss out on their Ojo de Bife Madurado 12 Dias, a luscious 12-day wet-aged rib eye steak cooked over scorching hot charcoal—undoubtedly one of the best in town. 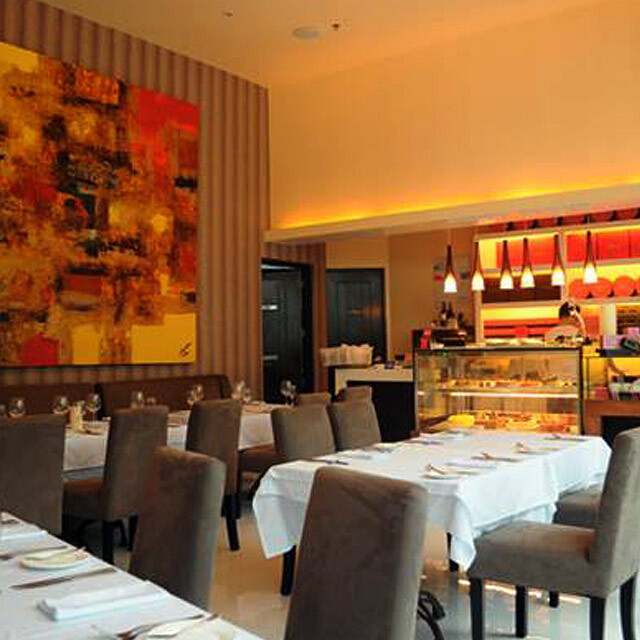 La Cabrera is at Ayala Business Center, 6750 Ayala Avenue, Glorietta Complex. 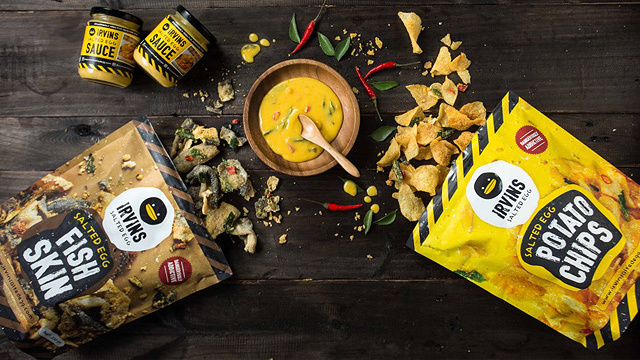 Could Irvins Salted Egg Be Coming to the Philippines?